Season tickets are the perfect way to guarantee your favorite seat for every game. Both full and half season plans come loaded with Very-Important-Tourists benefits like the Never-A-Wasted-Ticket Program and guaranteed giveaways! 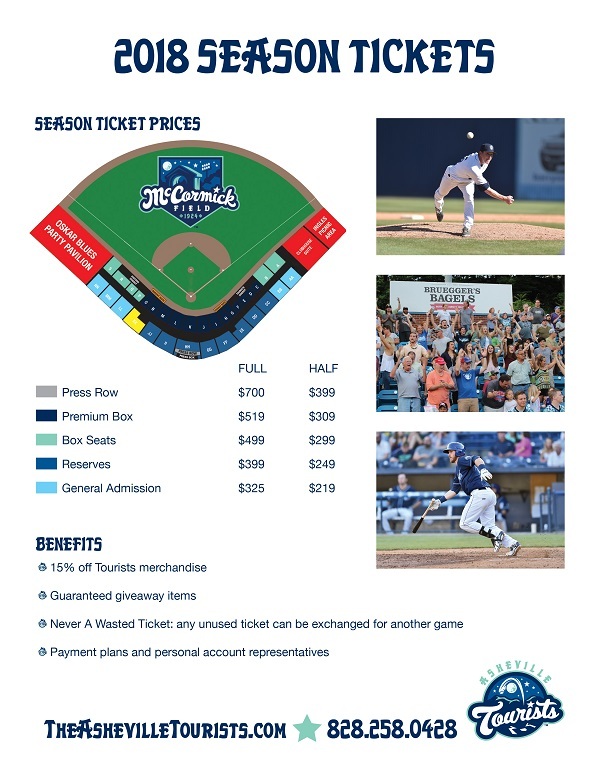 Join the Asheville Tourists family today. Call today for personalized service so that we can find the best seats and plan for you 828-258-0428 x4; or send us an email!